Going by newspaper reports it is believed that movement started on building a motorcycle speedway at the showgrounds in 1929. It was reported that Putt Mossman put on a stunt motorcycle and speedway event in 1937. 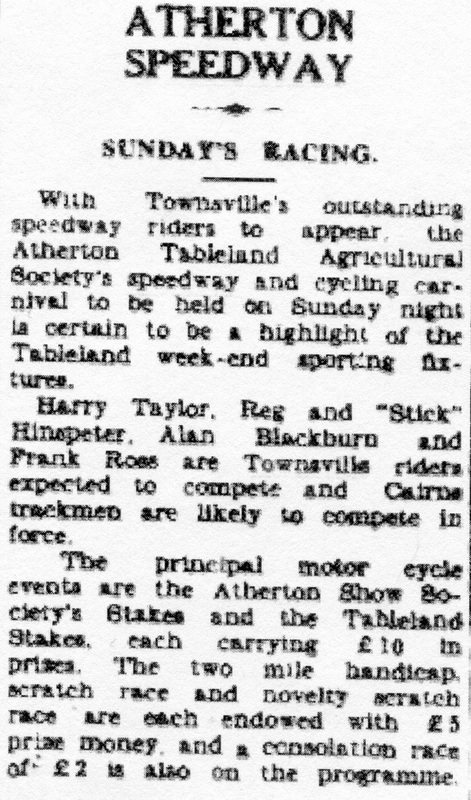 The Tablelands Agricultural committee had incorporated the speedway into there annual show but a huge wash out meant the show was rescheduled to June of that year. The Annual show and motorcycle speedway event did go ahead in July but because of the extreme dust conditions the riders from Cairns couldn't race, But the riders did put on some exhibition runs that pleased the show crowds. 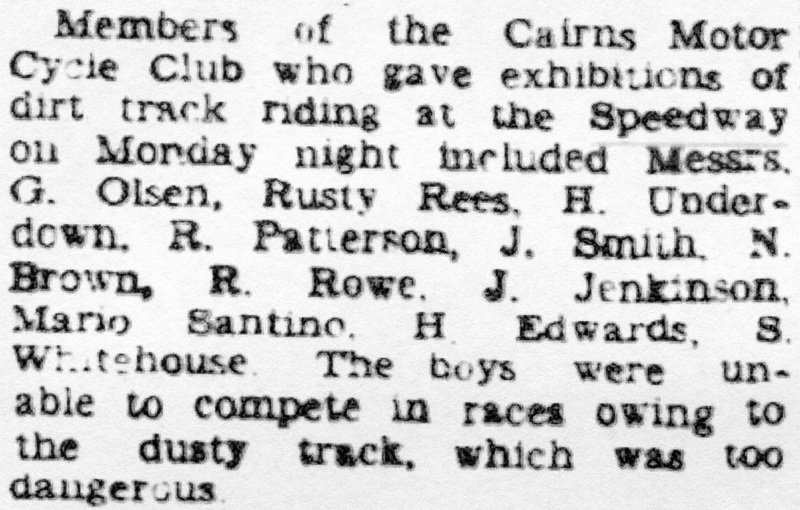 The Atherton Agriculture committee voted to include speedway in the 1950 show but to date there is no record of the speedway riders competing there. Newspaper reports show that speedway was still being run in 1953 as they reported visitors were flying into Atherton for a race event.